These all-day seminars were held at the Creative Life Center in Sedona, AZ. 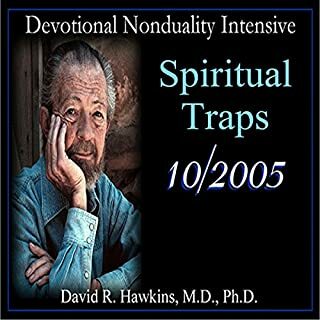 In this series, Dr. Hawkins presents the necessary information & steps to follow to reach the state of Enlightenment, with the focus on the many spiritual traps and non-integrous teachings that a student may encounter on the path and how to avoid them. He calibrates the truth of the statements made during each lecture. What would have made Devotional Nonduality Intensive: Spiritual Traps better? 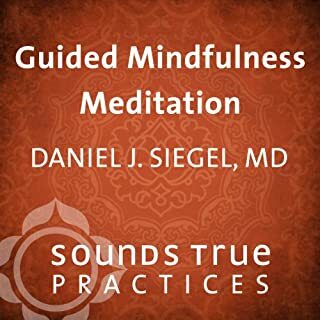 There is a whole bunch of bagpipe music in the middle of this which is disturbing if you want to meditate to this...I have a lot of his recordings and this one is my least favorite. I have no idea why they included that bagpipe music. This is a wonderfully relaxing and I love how it fades to nothing. It's short but it's sweet. A nice one to have in your collection.